We have meetings with teachers to explain our scholarships policy and also visited students’ residence. 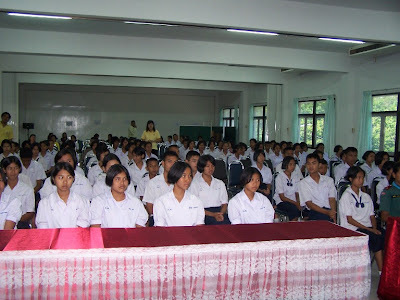 Khun Vannee Uboldejpracharak, TISCO Foundation’s Director and Secretary, presented scholarships 333 underpriviledged students from 17 schools in Trang. 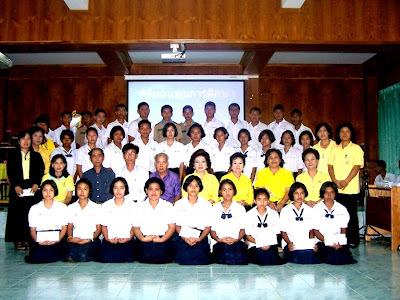 The presentation ceremonies held at the office of Basic Education, Ministry of Education, and Yantakao Ratchanoopatham school on May 24, 2007. 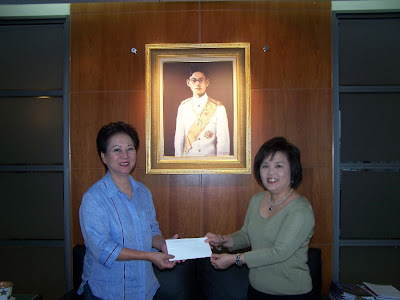 Khun Nattamon Issaradharm, Executive Vice President and Chief Governance Officer of TISCO Bank, presented a cheque to Khun Pattira Wattanawarangkul, Manager, for donation on the occasion of her Birthday. 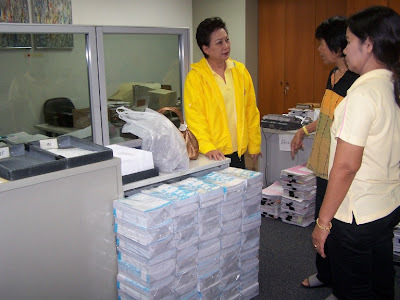 We have donated 1,250 notebooks to teachers from Wat Baan Pa School, Ang Thong, for distribution to their students, on May 14,2007. 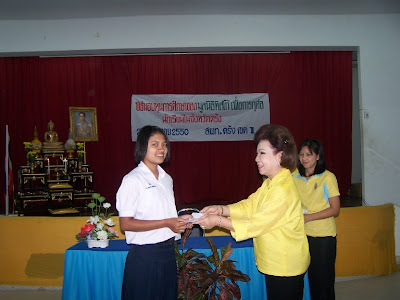 On behalf of TISCO Foundation, Khun Sasinee Phattiyakul, Head of Corporate Services, TISCO Bank, presented 3 used computers to Thungmahamek Police Station. On the occasion of TISCO Foundation ‘s 25th anniversary, we have donated 4,000 notebooks to Khun Teunjai Kraikreuyart of Baan Ta Dindam School and 3,250 notebooks to Khun Somkiate Wongyunoi of Nikom Lamnarai School, Lopburi, on May 8,2007.